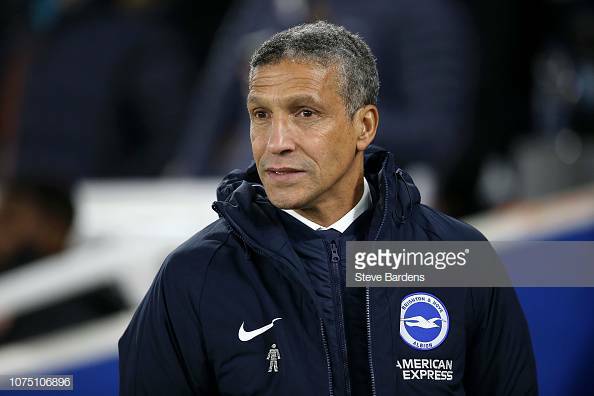 Brighton Manager, Chris Hughton reflected on what was a big win for his side as they beat Everton 1-0:"I thought so against a very good team that will be right up there and pushing and when they make the offensive changes to put us under pressure towards the end, it feels like at the moment a big win for us and a moment I think we took forward from the Arsenal game." Hughton also reflected on a good point haul to the start of this season with 25 points to there name so far:"It is, I think we are conscious of that and being off the back of two home performances. I thought the first 60-65 minutes against Arsenal we were very good and it enabled us to start well today and that helped the confidence and got the crowd going from the start. "Around that there weren't going to be too many chances, but fortunately we got the one that counted." One sight that pleased Hughton was Shane Duffy and Lewis Dunk back together for the first time since the start of December: "Pleased to have the partnership back, but I would put the clean sheet down to a team performance. "When Leon Balogun came in and did well in that period where we missed either one of them,so I certainly wouldn't want to do him a misjustice. "But I thought the two of them were good again and they needed to be against a lot of pace upfront and I think it needed a very defence display from the team, particularly in the last 15-20 minutes, where we knew they were going to put us under pressure." Hughton also touched on why the penny hasn't just dropped for goalscorer Jurgen Locadia and how he has always been ready when he got the chance:"I don't think that is the case with him as he has always been ready, but he hasn't played as much as he would have liked, it's more down to my decision. There was a period where players were injured and he came in, but he needed to get up to speed. But with the form of Glenn in the second half of the season and the arrival of Andone it has made it hard for him. he has always been ready and trained well and I'm pleased now he has got his chance, his level of training that he does has reaped benefits for him."